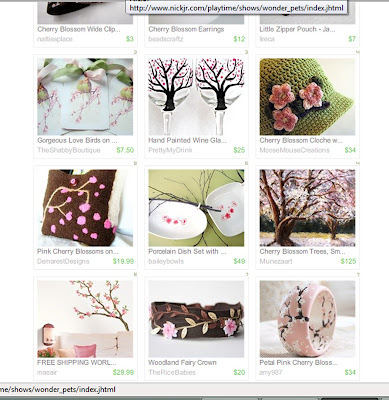 This is a pretty Treasury I have been listed in. I do love cherry blossoms, don’t you? congratulations kellie, i also saw your beautiful woodland stuffies on oneredrobin's website! i'm so happy for you!